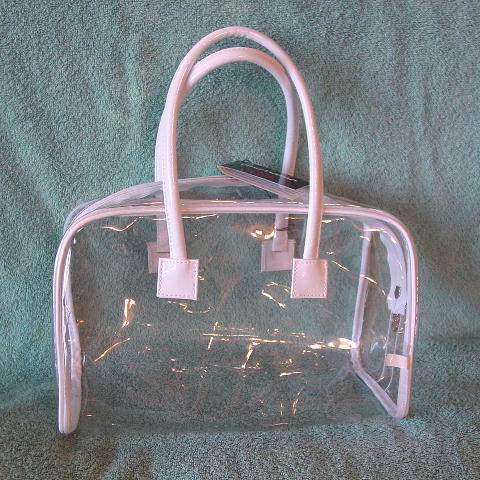 This never-used clear vinyl handbag is an Americana by Sharif. It has a white vinyl edging and two hand straps (17" by 1/2", with 5 3/4" drop). 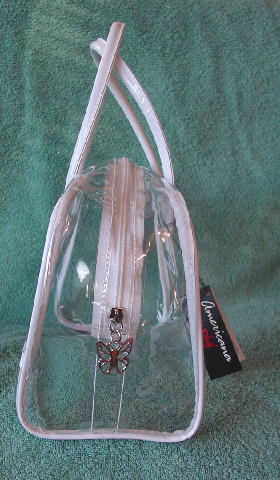 There is a side to side white zipper and a silver-tone metal butterfly pull. It's compatible with two other pieces we have for sale. The light areas on the clear vinyl are reflections.